Avril Lavigne is "definitely getting better" after a severe case of Lyme disease left her bedridden for five months, says the Canadian pop star's husband. Chad Kroeger, Nickelback frontman, made the comments during an interview with the Kyle & Jackie O radio show on Australia's KIIS 1065. Lavigne thought she was dying after contracting the disease from a tick bite she suspects happened in spring 2014, the star revealed in an exclusive interview published by People magazine. 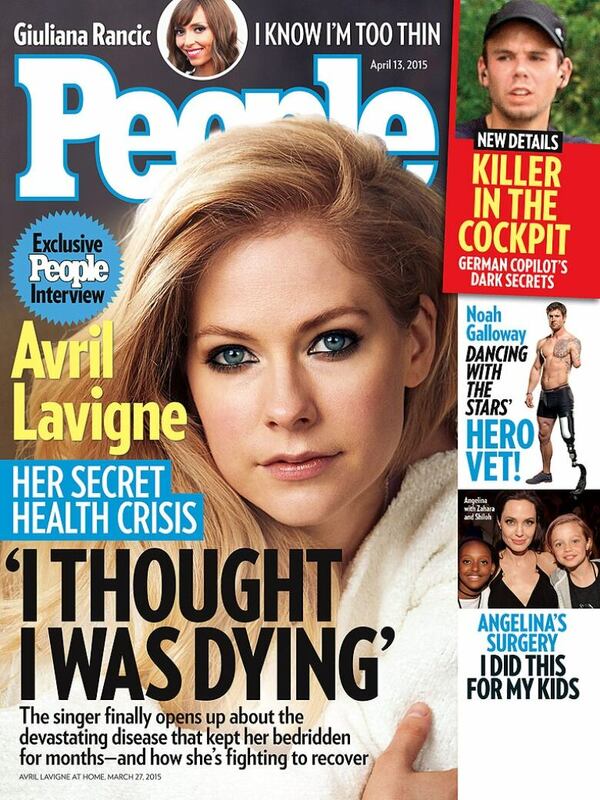 Canadian pop star Avril Lavigne appears on the April 13, 2015 cover of People magazine. The 30-year-old Ontario-born singer told the publication that she 'thought she was dying' after contracting Lyme disease. (People.com)"I felt like I couldn't breathe, I couldn't talk and I couldn't move," she said. "I thought I was dying." 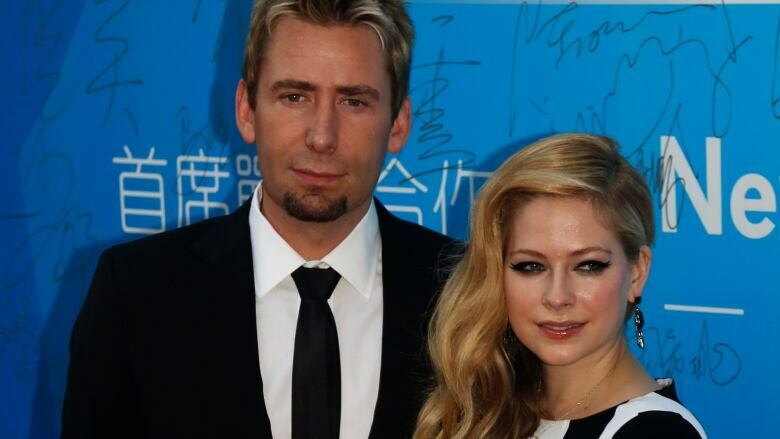 Kroeger said he was "very thankful" Lavigne went public with her illness. "I'm like, 'OK, the wife has come out and said this, and now I don't have to keep hiding,'" he said. In Dec. 2014, a fan publicly shared a direct Twitter message from Lavigne saying she was "having some health issues." After that, Kroeger said many people have been asking him about his wife's condition. But, before her interview, Kroeger could only say, "she's gonna be fine." "Things are looking up, and definitely getting better," he told the show's hosts, adding that Lavigne requested he not speak about her condition during his interviews to promote his band's world tour. Lavigne isn't the first celebrity to have gone public with a diagnosis of Lyme disease. Yolanda Foster of The Real Housewives of Beverly Hills has struggled with it for three years. "I have lost the ability to read, write, or even watch TV, because I can't process information or any stimulation for that matter," she wrote in January 2015 on her Bravo blog. "It feels like someone came in and confiscated my brain and tied my hands behind my back to just watch and see life go by without me participating in it." Lyme disease is "a nasty little bugger," said Kroeger.